America's knitters have spoken! Yarn shops from across the country—from California to Michigan to Maine—have come together to share their best-loved designs, created especially for this book using the fabulous yarns in the Cascade 220 line. 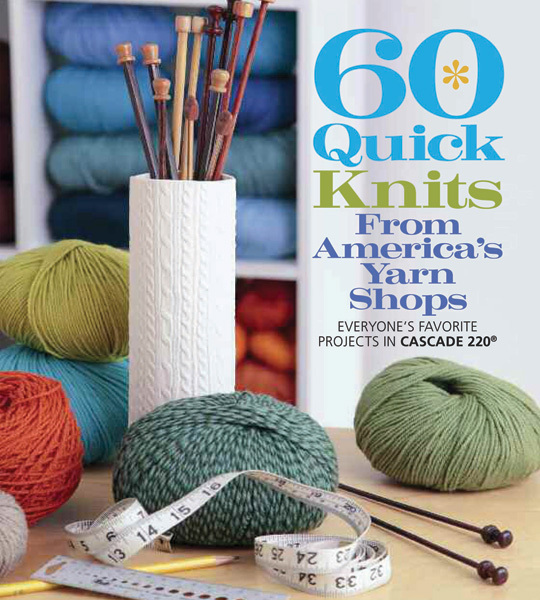 The newest addition to the bestselling 60 Quick Knits series is a one-of-a-kind collection of patterns contributed by yarn shops across America. These imaginative and varied designs, from fashion accessories to décor to baby garments, make perfect use of the multitude of weights and colors of Cascade 220 and 220 Superwash from Cascade Yarns. And they reflect the taste, creativity, and inspiration of knitters around the country. America's favorite knits will inspire you to get creative, too!